If you are consistent, while operating a bank account where you deposit your hard-earned money, and then habitual of withdrawing that money from time to time, then you must maintain a proper record. It is important to conduct adequate bookkeeping, in your own way, for the number of transactions, deposits and withdrawals that you make. You may get your bank statement, then be surprised to find out that the balance shown is different than what your personal records show. Now, what can you do in this scenario? It is quite obvious that you need to accurately compare the two sets of records thoroughly and find the information that is recorded in one but not the other. A similar type of situation may also arise in a business that has multiple accounts. Maintaining a proper and authentic record for all accounts is a very big concern for any business. All concerns are addressed by maintaining a record of all banking transactions that have been carried out by the business and is set per the date on which the balance is shown by the bank cashbook. If there are any discrepancies, the business can and should be able to find the reasons to reconcile the correct balances. That is the reason why it is very important and necessary to reconcile your bank statements. It is also important to know how to prepare a reconciliation statement, which is known as the bank reconciliation statement. 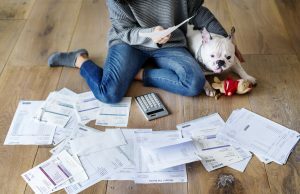 Reconciling bank statements is important and necessary, as it can further be used to maintain proper bookkeeping or even maintain your accounts. Here are a few steps in which you can reconcile your bank statement. Writing the balance from your checkbook and the number of the next unused check on the reconciliation form is a good habit. You should then deduct all bank charges from your checkbook and balance the remaining amount to get your adjusted checkbook balance. Record and maintain the ending balance exactly as it is shown on the bank statement. You can now compare both of the ending deposits listed on the bank statement and the deposits listed on your checkbook. You can also put a check mark beside the amount on the bank statement and on the checkbook. List all deposits that you have and then bring forward with a check mark on the reconciliation form. These can then be your outstanding deposits. In order to reconcile your bank statement, it is necessary to properly place every item carefully in order to avoid double counting. What you have entered from your checkbook must also match the items from your bank statement. Some of these items would not have been added from your bank. In the end, you can total all of the outstanding deposits to the bank statement balance. You can now compare the deposits listed on the bank statement with the deposits listed on your checkbook. It is important to keep putting a check mark beside the amount on the bank statement and on the checkbook to know for sure that you have not missed any item or amount. List all deposits that you do not have a check mark on the reconciliation form for. These would be called your outstanding deposits. This further means that you have entered them in your checkbook but the bank has not yet added them to your account. You can add the total of your outstanding deposits to the bank statement balance. Moving towards the final steps of reconciling a bank statement, you can now arrange all canceled checks in a numerical order and then compare the canceled checks with those that are listed on the statement and on the checkbook. Put a check mark beside the amount on the bank statement and on the checkbook as well. Hence, while you are reconciling your bank statement amount, you might want to list all check numbers without the check mark. These are outstanding checks that you have written but the bank has yet to receive them which means they have not been paid.